Beats Electronics, the company founded by hip-hop producer Dr Dre and music mogul Jimmy Iovine, confirmed this evening it had raised $60 million in funding to spin off its forthcoming streaming music service into a separate entity later this year. Codenamed "Daisy," the service was revealed in January by Iovine at the AllThingsD Dive Into Media conference. 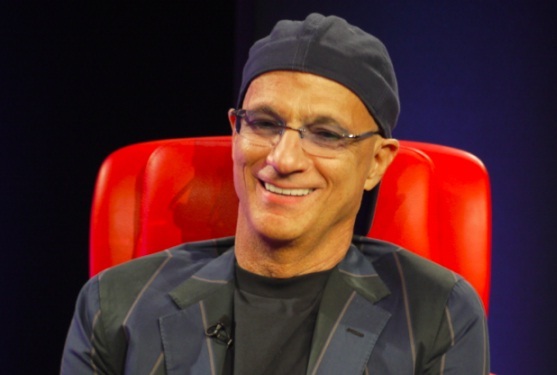 Iovine said he had 100 people working on a "curated" music subscription service he expected to launch this summer. The funding round was led by Access Industries, an investment group founded by billionaire Len Blavatnik), Marc Rowan, James Packer and groups affiliated with Lee M. Bass. Details of the investment were first revealed by The Verge. Iovine has enlisted music masters -- artists, DJs, and others with deep knowledge and experience in producing music -- to create lists for a variety of music listener archetypes and situations. Beats bought the MOG music service last year as a foundation for the new service. Nine Inch Nails frontman Trent Reznor will serve as the music service's chief creative officer. "Beats was always about helping people re-discover the magic in the experience of listening to music," Iovine said in a statement this evening. "Now that we are well along the way to addressing the quality of audio playback with Beats headphones and speakers, Daisy allows us to re-introduce the same magic into the process of music discovery and consumption." The funding announcement comes on the same day as a report that Apple CEO Tim Cook had held talks with Iovine about a potential partnership involving Beats' planned music service. The pair met in late February to discuss Beats' business model for Daisy, as well as its launch plans, unidentified sources told Reuters.